The other day I posted that a MOTHER 2-themed Game Center CX video had been released in conjunction with MOTHER 2’s release on the Japanese Wii U Virtual Console. Well, now it’s subtitled in English for your viewing pleasure! 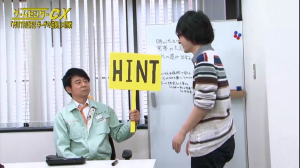 Watch as Arino tries to play MOTHER 2! Check out his good luck, his bad luck, and his wacky naming choices! Also, it wasn’t much, but I helped out a little bit by checking the EarthBound references and stuff in the subs before it was released. Just wondering, is this translation team affiliated with SAGCCX or are they separate? 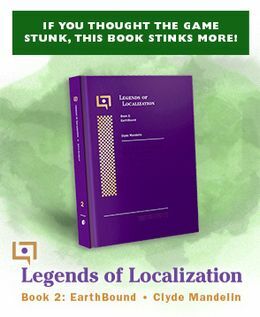 Is it true that Earthbound was on NA VC for ten minutes, and pulled it off because of no sales? No, that’s just a joke site. I always hoped he’d do Mother someday too. I’m glad he likes it! I’d love to see him do the full game. Given that EarthBound is a bit faster paced an RPG, if he got the hang of it quickly he could probably finish it in 2 shows times. For those of you who prefer SAGCCX, they’ve just released their version of the Mother 2 episode too. I’m not sure where to link to since I usually use their torrents instead of their direct download links, but for now it’s located here. Yeah the OoT run was kind of a disappointment in that he didn’t even play the Forest and Fire Temple. I guess it can’t be helped seeing that Zelda games are generally from start to finish the longest games he has played. Hey Mato, I have a quick question for ya! Have you guys considered doing a “Did you know gaming…” video for earthbound? They get special gusts to do game specific videos and im sure you or some old friends of yours would love to do the video!